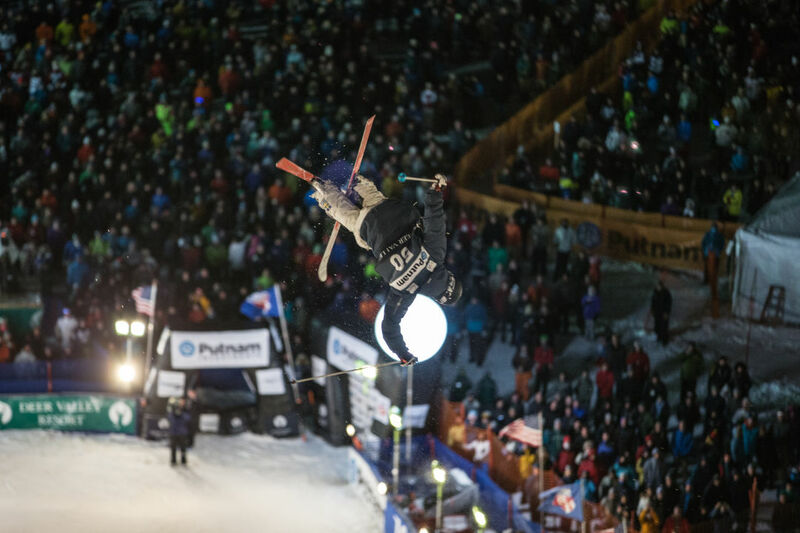 Freestyle athletes from around the globe will jump, bump, twist, and fly under the lights at Deer Valley Resort. 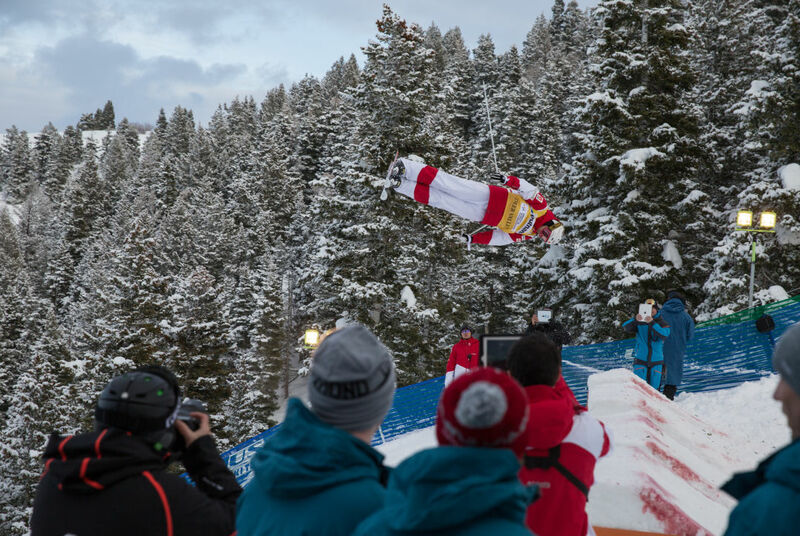 The 2018 FIS VISA International Freestyle World Cup takes place at Deer Valley Resort from January 10 to January 12. Admission is free and open to the public. 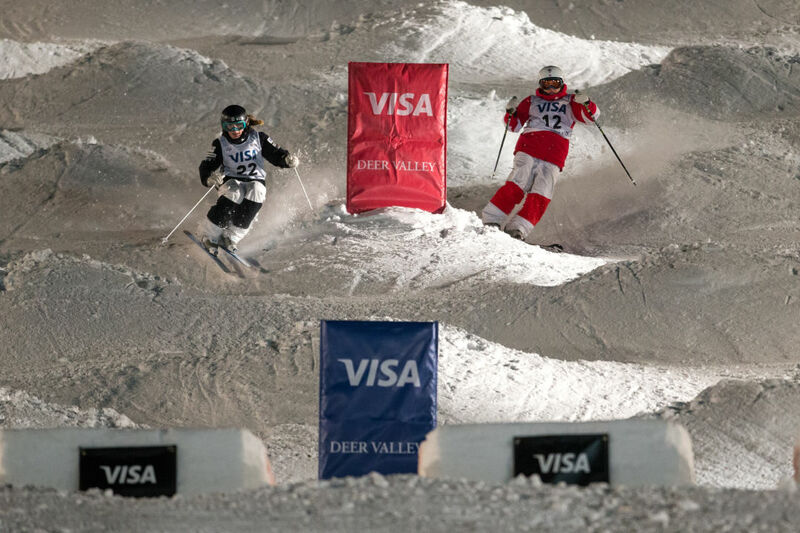 The world's best freestyle skiers return to Deer Valley to show off their skills this week during the VISA Freestyle International Ski World Cup from January 10-12. This year marks the 20th year of hosting top level competitions for the resort. You can catch the mogul competition on Wednesday and Thursday on the Champion ski run while Friday will feature aerialists flying high on the White Owl run (see full event schedule bel0w). We can all agree watching athletes perfectly maneuver moguls at breakneck speeds is mesmerizing and aerial acrobatics are jaw-dropping, but how much do you actually know about these freestyle forms? Here's a quick brush up before the competition. Bumps, which can form naturally or artificially (from skiers and machines), have been around for as long as sking has existed. Freestyle mogul competitions, however, weren't introduced by the International Ski Federation (FIS) until 1980 when the first World Cup Circuit was held; World Championships were added in 1986 in Tignes, France. The FIS began allowing inverted tricks in mogul skiing in 2003 -- a movement that began at Deer Valley during the 2002 Olympics when Johnny Moseley threw the first off-axis trick that he called the "dinner roll." In modern competitions, the perfectly shaped moguls are created by machinery so each bump is spaced precisely. Race courses range in length from 200 to 270 meters (650 and 885 feet) long with a typical slope grade of 26 and moguls set roughly 12 feet apart. Two sets of jumps are also included for aerial maneuvers, including upright or inverted tricks. Deer Valley's course is one of the steepest, most challenging courses on the World Cup circuit, clocking in at 827 feet with a slope grade of 28 degrees (if you're feeling up to the challenge, you can test your skills on the course when Deer Valley opens it to the public after the competitions). While there's evidence of skiers engaging in acrobatics since the 1930s, it wasn't until the 1950s that Olympic gold medalist Stein Eriksen, then the most recognizable skier in the world, popularized flying into the air on skis with his signature somersault. A number of early competitions took place in the U.S. during the '60s. And then in 1979, FIS recognized aerials as an official sport, creating regulations for athletes and jump techniques to curb some of the dangerous behaviors engaged in by skiers. After freestyle skiing was demonstrated in the 1988 Winter Games in Calgary, mogul medal events were added to the 1992 Olympics in Albertville with aerials competition joining for the 1994 Olympics in Lillehammer. A panel of seven judges award moguls competitors up to 30 points based on three elements: technical turns (50 percent), aerial maneuvers (25 percent), and speed (25 percent). Five judges watch for sound technical turns, worth up to 15 points. They look for aggressive carves with rhythmic changes on either side of the fall line (shortest line from top to bottom). While making turns skiers should not skid or plough, their head should remain still and facing downhill, with hands in front, using light and well-timed pole plants. Two judges independently score jumps based on form and difficulty (their scores are averaged), with the maximum total of 7.5 points. Finally, competitors receive a speed score based on a their time completing the course against a set pace time. Pace times for courses are calculated according to the distance of the slope, from the start to the finish, and then divided by a predetermined speed measurement. Dual Mogul competition consists of elimination rounds where pairs of competitors compete against each other. Each loser is eliminated and each winner advances to the next round until a final result is achieved. For aerials, athletes perform two different acrobatic tricks from prepared jumps, with a maximum score of 30. Seven judges award points based on take-off, height, and distance (a.k.a. "air time"), form and twisting technique, and landing. Air and form make up 70 percent of the score (20 for air, 50 for form) and 30 percent for landing. Five judges score the air and form; the high and low marks are thrown out and the remaining three added together for a max of 21 points. Two judges score the landing on a 3 point scale and the average of the two scores is multiplied by three for the final landing score up to 9 points. Finally the air/form scores are added to the landing score and multiplied for degree of difficulty (up to 4.9) to achieve a score for each jump (max 147 points for a single jump). The two jumps scores are added together for the final overall result. Spectators cheering on during qualifying competition. All the events are free and open to the public (no pets allowed). Bundle up and we'll see you out there!